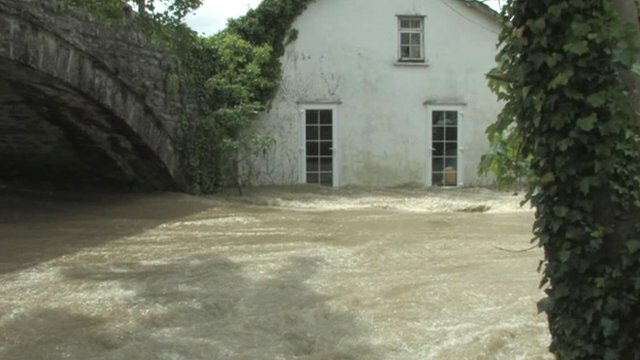 Flooding clean up starts in Wales Jump to media player A clean up has started in parts of Wales affected by severe flooding. When the floods hit Dol-y-bont Jump to media player Clean-up operations are underway in parts of mid Wales after severe flooding sparked a major rescue operation. Ian Smyth, filmed the flood waters in Dol-y-bont and Borth on Saturday morning. A clean up has started in parts of Wales affected by severe flooding ,which sparked a major rescue operation. 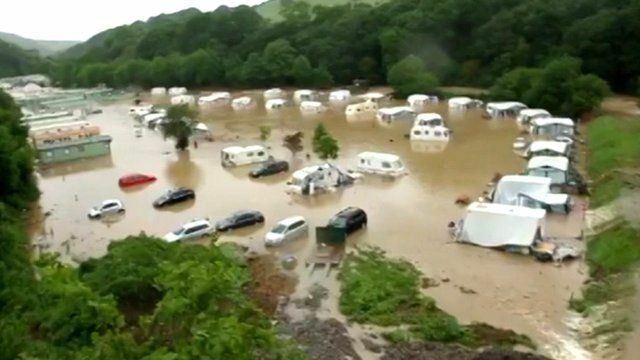 Villages in Ceredigion were cut off as houses and caravan parks were flooded by up to 5ft (1.5m) of water.